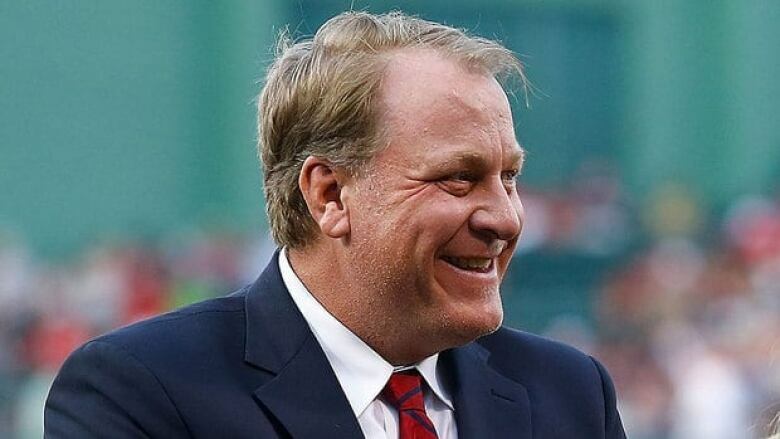 Rhode Island's economic development agency on Thursday sued former Red Sox pitcher Curt Schilling and some of its former officials in connection with a $75 million US loan guarantee to his failed video game company. The suit was filed in Rhode Island Superior Court four months after 38 Studios filed for bankruptcy after a spectacular collapse. The board of the Economic Development Corp. in 2010 lured 38 Studios to Providence from Massachusetts with the loan guarantee. In addition to Schilling, who founded the company, the suit names former EDC executive director Keith Stokes; Michael Saul, a former top official with the EDC who worked closely on the deal; and two law firms that also worked with the agency. It also names several other former 38 Studios officials. Gov. Lincoln Chafee said the EDC board authorized the legal action in an attempt to recoup some of the state's money. "My message to Rhode Islanders is this: I know that you work hard for your paychecks, and for your tax dollars to be squandered is unacceptable," Chafee said in a video statement. "The Board's legal action was taken to rectify a grave injustice put upon the people of Rhode Island." Chafee said in the message he would not comment further and that the complaint is "only the beginning." EDC spokeswoman Judy Chong said the agency has no comment. Messages left for Schilling and Stokes weren't immediately returned. With 38 Studios' collapse into bankruptcy in June, Rhode Island is likely on the hook for more than $100 million, when interest is factored in on the bonds the state issued on the company's behalf. The EDC in June hired an outside firm to determine whether there is any third-party liability in connection with the loan guarantee. The board was briefed in private last month by attorney Max Wistow on possible litigation. The suit says that EDC board members who approved the loan guarantee in 2010 were not experts in "law, lending, video gaming or economic development" and relied on information from advisors including Stokes and Saul at the EDC, as well as Schilling and others at 38 Studios. The suit says the video game company failed because of risks that were not disclosed to the board "but were or should have been known" by all of the defendants. The suit also says the EDC board was misled about whether 38 Studios would have enough money to finish the video game, codenamed Copernicus, that was critical to its success. It says the company's own financial projections showed a shortfall of about $22 million of the estimated $75 million needed. The company was due to get only a portion of the $75 million in bond funds because some was to be kept in reserve. The suit says the defendants should have known that the company was on track to exhaust its funds and it was "likely that 38 Studios would run out of cash and go out of business by 2012." Schilling's firm tried to raise millions of dollars more in outside capital, but was unable. The suit also says that an EDC analyst who raised questions about the loan guarantee — and suggested he could not support it — was later excluded from doing further work on it by Saul, who oversaw the agency's financing programs at the time. As a result, the agency's customary analysis of the risks of the deal was never completed or submitted to the EDC board, according to the suit. In May, the company laid off its nearly 300 employees in Providence and more at a studio in Maryland it acquired in 2009. One of the law firms named in the suit, Adler Pollock & Sheehan, which had served as general counsel to the EDC, said in a statement the suit reflects a "misappreciation" of its role and said the firm will "vigorously defend itself."